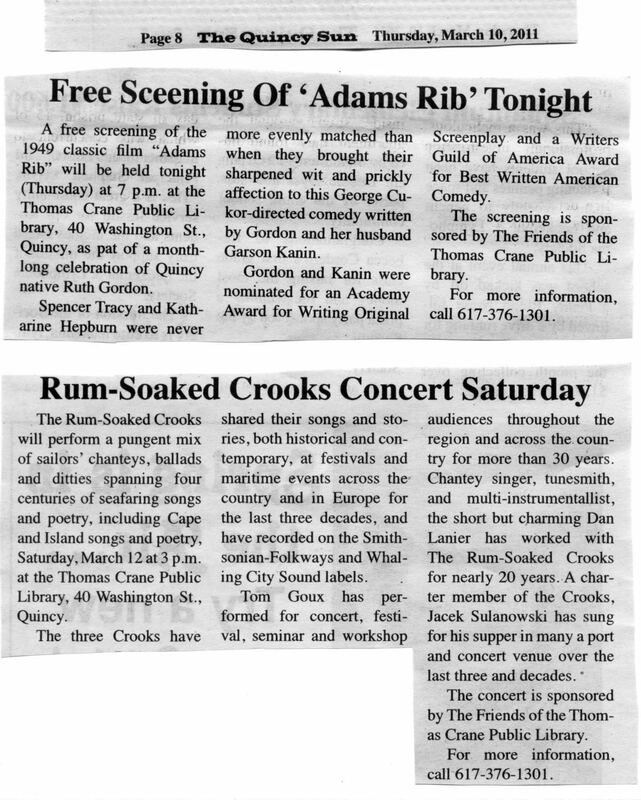 The March 10 issue of the Quincy Sun featured three articles about programs at the Thomas Crane Public Library in Quincy, Massachusetts. These two are clipped from Page 8. 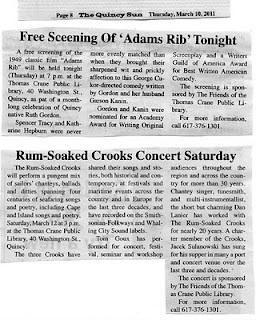 I posted this after the paper was published, and after attending the Rum-Soaked Crooks concert. It was a blast to hear sea shantey music reverberate in the rotunda and throughout the magnificant library. Luckily the library is large enough, with sufficient discreet and remote places, that anyone bothered by the sound had a number of options to find a quiet place to read or study.